Currently in the US there are 4 states, Illinois, Louisiana, New Hampshire and New Jersey that have approved medical cannabis specifically for the treatment of muscular dystrophy. Will New Mexico be next? 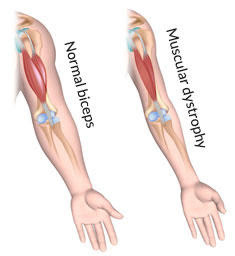 Muscular dystrophies are a group of 30 genetic diseases characterized by progressive muscle weakness and degeneration that primarily affect young boys. Studies have shown that medical cannabis helps reduce the pain and involuntary muscle contractions associated with the disease. Muscular dystrophy is genetic. Symptoms may start to develop as early as infancy or may not present until later in adulthood. Duchenne Muscular Dystrophy (DMD) is one of the most common types of the disease. DMD appears early in childhood and affects mostly boys. There is no cure for muscular dystrophy. In addition to exercise, physical therapy, and respiratory care, it has becoming evident that medical cannabis may help with the symptoms and complications of this disease. Scientific studies on medical cannabis and MD are sorely lacking despite the fact medical cannabis has been shown effective against common symptoms of MD such as pain and stiffness. There is evidence suggesting it may help related conditions, e.g., amyotrophic lateral sclerosis, which has some similar characteristics, such as impaired movement and muscle loss. A 2010 study in The American Journal of Hospice & Palliative Care described how medical cannabis could potentially benefit ALS through the following mechanisms. At least some of these effects could theoretically benefit MD as well. The only study directly examining cannabinoids and MD is an article in Forensic Science. The abstract seemed to suggest that THC and CBD may benefit symptoms of the disease. Unfortunately, due to the article’s age, the full text is not available, leaving the researchers’ complete observations a mystery. Despite these amazing properties, it is unlikely that cannabis extracts alone could eliminate every symptom of MD. All forms are genetically inherited or derive from spontaneous mutations in genes. For example, in DMD, a mutation prevents the body from producing dystrophin, a protein that helps maintain the stability of muscles. Inherited genetic defects are especially difficult to treat, but since cannabinoids have shown promise in normalizing the expression of genes, they very well may be able to treat the root causes of MD. The scientific evidence certainly suggests that cannabinoids could help MD, but what really matters is how patients are responding. Numerous reports across the Internet suggest that patients are benefiting immensely from various cannabinoid therapies. Medical Cannabis can help those with muscular dystrophy to manage the pain and involuntary muscle tightness commonly associated with the disease. Cannabinoids found in cannabis effectively lower pain because they activate the two main cannabinoid receptors (CB1 and CB2) of the endocannabinoid system within the body. These receptors regulate the release of neurotransmitter and central nervous system immune cells to manage pain levels (Woodhams, Sagar, Burston & Chapman, 2015). Cannabis has even been found to significantly improve neuropathic pain in patients who had previously attempted to treat their discomfort with more conventional methods (Wilsey, et al., 2013). Along with pain, muscle spasm (involuntary muscle tightness) is the most common reason that medical cannabis is recommended and prescribed by medical professionals (Borgelt, Franson, Nussbaum & Wang, 2013). 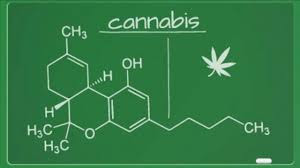 Evidence suggests that, like pain, cannabinoid-induced reductions in muscle tremors and spasticity are due to the activation of the CB1 and CB2 receptors (Pertwee, 2002). Studies have demonstrated that medical cannabis offers significant improvements in muscle spasticity, both in mice trials and in human subjects (Borgelt, Franson, Nussbaum & Wang, 2013). An article from a New Jersey newspaper described the experience of young Michael Oliveri. He suffered from tremendous MD-associated pain that numerous medications failed to relieve, so he used medicinal cannabis as a last resort. Oliveri said the medicine “miraculously improved” his quality of life, so much so that he knew he must say goodbye to family and friends in New Jersey to relocate to California to gain safe access to cannabis. 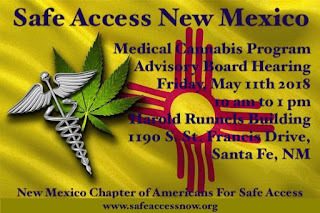 Dan Pope is a Colorado resident with MD. In a US News article, he stated that cannabis helps control his muscle spasms. It also makes his pain more tolerable. Another man named Patrick McClellan also reported that eating or vaporizing cannabis significantly reduces his muscle spasms and pain. Medical Jane spoke with a patient in Florida named John who has myotonic dystrophy, a form of MD. He described the ability of cannabis to “turn down the volume” on his pain, while also helping him relax and go to sleep. John prefers indica-dominant strains, as sativa varieties can be too stimulating. Since indica strains generally have stronger effects on the body than the mind, it makes sense they would work better for MD. Cannabis significantly improves neuropathic pain that had resisted previous conventional treatments. Another 2012 study from the University of California found that smoking medical cannabis can lesson contractions, tightness, and pain in multiple sclerosis patients. The study was published in the Canadian Medical Association Journal. The researchers found that medical cannabis use reduced spasticity measurements by one-third on the Ashworth Scale, which is commonly used to evaluate the overall mobility of the muscle. Pain scores improved by 50%. Though MS and MD are two different conditions, the muscle soothing effects of the herb may prove useful for managing symptoms related to muscular dystrophy. Borgelt, L.M., Franson, K.L., Nussbaum, A.M., and Wang, G.S. (2013, February). 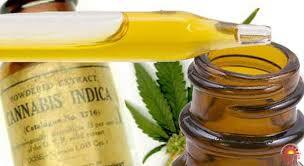 The pharmacologic and clinical effects of medical cannabis. Pharmacotherapy, 33(2), 195-209. Retrieved from http://onlinelibrary.wiley.com/wol1/doi/10.1002/phar.1187/full. Muscular dystrophy. (2014, November 27). Mayo Clinic. Retrieved from http://www.mayoclinic.org/diseases-conditions/muscular-dystrophy/basics/definition/con-20021240. NINDS Muscular Dystrophy Information Page (2015, September 24). National Institute of Neurological Disorders and Stroke. 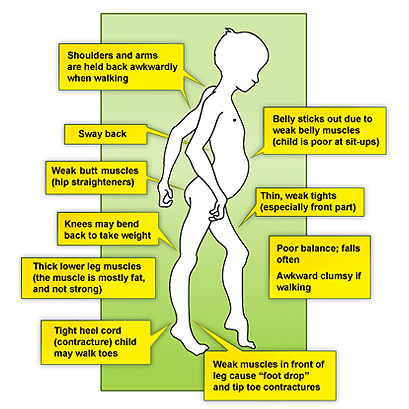 Retrieved from http://www.ninds.nih.gov/disorders/md/md.htm. Pertwee, R.G. (2002, August). Cannabinoids and multiple sclerosis. Pharmacology & Therapeutics, 95(2), 165-74. Retrieved from http://www.sciencedirect.com/science/article/pii/S0163725802002553. Wilsey, B., Marcotte, T., Deutsch, R., Gouaux, B., Sakai, S., and Donaghe, H. (2013, February). Low-dose vaporized cannabis significantly improves neuropathic pain. Journal of Pain, 14(2), 136-48. Retrieved from https://www.ncbi.nlm.nih.gov/pmc/articles/PMC3566631/.